Unlike other inner groove picks the Honda one has two ‘rakes’ each side – four in all – to work top and bottom wafers on both sides. The Honda inner groove pick adds to an increasing range of IGP’s that include Ford, BMW, Mercedez and the notorious U66, and we’re happy to give you this opportunity to add it to your collection. 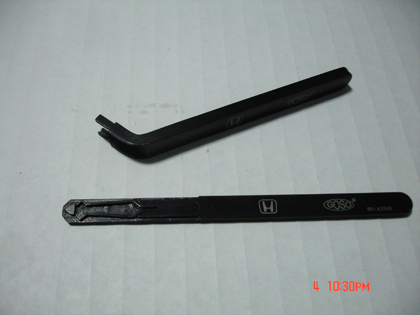 This entry was posted in GOSO Lock Picks and tagged Honda, Inner Groove Pick.